Tag Archive | "Government Procurement Act"
Staff during the procurement workshop. MANILA CITY- To promote good governance, transparency, accountability, equity, efficiency, and economy in all government procurement processes, the Department of Social Welfare and Development (DSWD) MiMaRoPa conducted a one-day orientation-workshop on Republic Act 9184 known as the Government Procurement Act to staff as front liners and receivers of procurement transactions. 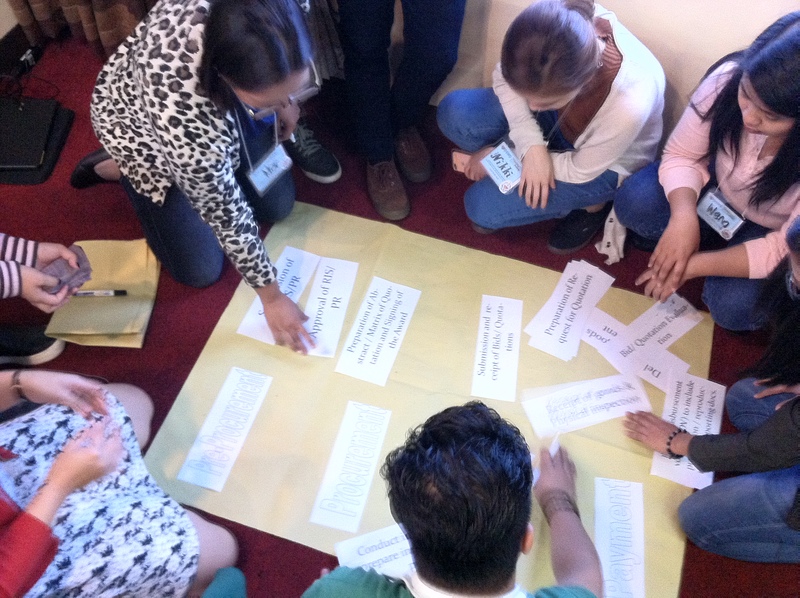 “The orientation-workshop aims to equip the staff of the basic knowledge about government procurement to help improve the turn-around time of all procurement transactions,” said Department Property and Supply Officer Imee Villanueva. The orientation which was held in Bayview Hotel last July 29, Friday was attended by 62 staff both region and province-based staff in Oriental and Occidental Mindoro, Marinduque, Romblon and Palawan. This also complies the mandates of RA 9184 to continuously paves way for the improvement of the procurement process by enabling the staff to be aware and involved in the process. “As a support staff, this procurement orientation helps to effectively perform my job for a quality and as scheduled delivery of items or services,” said Listahanan staff Norman Sarmiento.